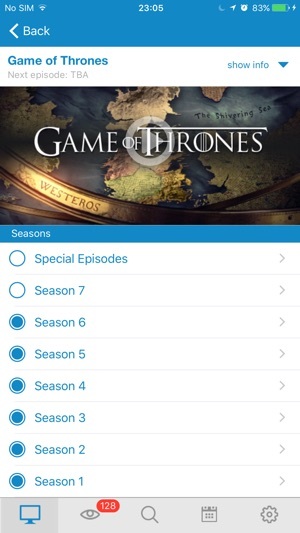 With Episoder you can keep track of all of your favorite TV series. See when the next episode is scheduled and read episode summaries. You can mark episodes that you have already seen, and read about the upcoming ones. Get an overview of your progress for each show, and instantly see what to watch next! The shows appear in the main list. 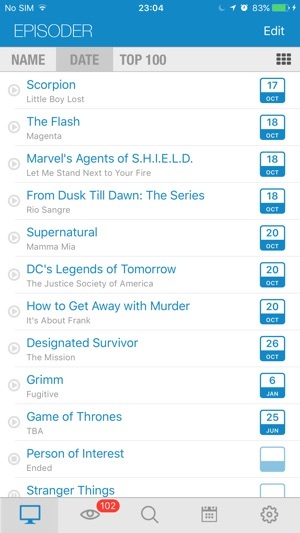 You can view show information, see all the seasons of a show, and read about episodes. Watch trailers and add notifications into your calendar. Discover new shows in the Top 100 and with show suggestions. This list is our collection of the most popular shows. Read summaries and watch trailers to see what shows you could start watching. It is a must have for all the TV-Show Fanatics! (It is created by one...). 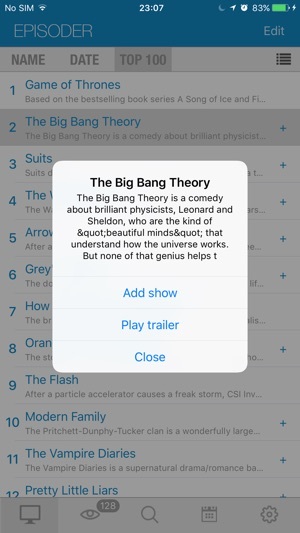 Never miss an episode again, this app could become your new best friend! 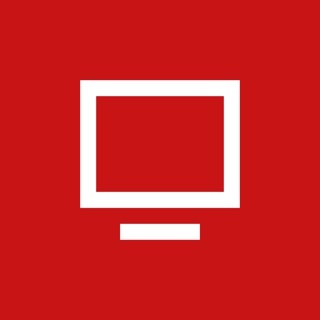 I’ve downloaded a lot of free apps to track my tv shows and this one is by far the best! 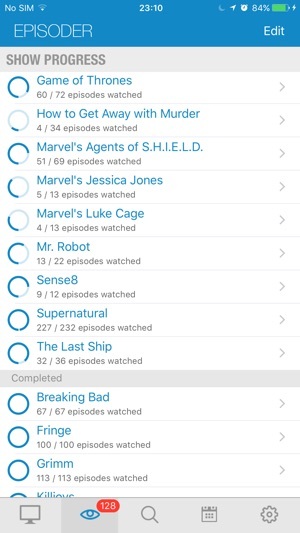 What I love most about the app is being able to easily see how many Unwatched episodes I have for all my shows, which appear on my To Watch list. When a show is up to date and all episodes are watched, it’s removed from my list until a new episode airs. Other apps don’t do this! 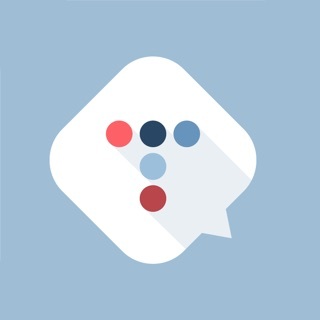 There are a few glitches every once in a while, but the support team is very responsive and issues are fixed quickly. This app is extremely underrated! I needed a way to track my bing watching and my regular tv viewing. It is sooo easy to use and track episodes. Only thing I wish was improved is 1)an option to suggest show updates I’ve noticed some shows “Iyanla fix my life” hasn’t been updated with the shows lates seasons & 2) the streaming platform shows like some Netflix and Facebook shows like “RedTable Talks” are not available. That’s the ONLY reason i gave 4stars instead of 5. So thankful for this app!!!!! Love the app. Basically does what I want it to do... Track the shows I watch. However, the start up is horrendous. Especially if you track alot of shows. It takes forever. 5 mins for an app to start is bad. Also, I love the show list. Great way to go thru shows to find what you want. However it's so long that it would be nice to have the option of what to show in the list. For example, only US show or only canadian shows or british shows, etc. Also have option to only show current shows or even only canceled/ended shows. Additionally having someplace to view upcoming shows i.e. Pilots. And finally it would be nice to have a tab for current news related to my shows. Cancellations. Or actor related news. Stuff like that. I gave the new update. Runs MUCH faster. Great improvement. Only problem now is that I'm not getting any show updates. 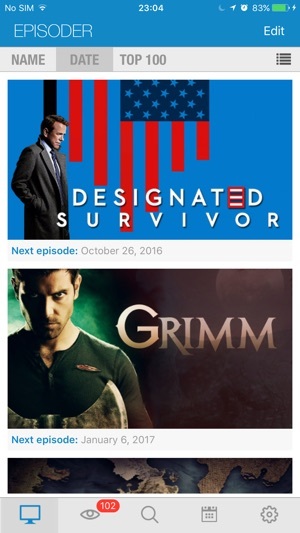 Even though I'm marking off shows as watched on a daily basis, in the My Shows view all shows still have the date from 2 weeks ago. Also when I click on show info the app crashes. Only other downside. I had to delete all my shows to upgrade to the last update. 2 hours of work. Hopefully that won't be the case with next update. If it is I'll just quit this app.